The Tarascon Pharmacopoeia continues its tradition as the most popular and most trusted portable drug reference. Available for your Apple and Android devices, this must-have resource contains vital drug information on thousands of drugs to help clinicians make better decisions at the point of care. 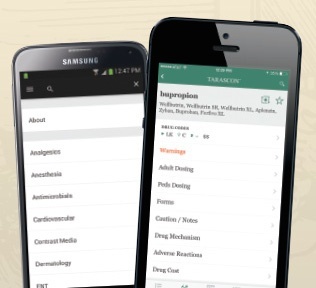 The trial version is now available for new users of the Tarascon Pharmacopoeia app, and will give ausers ccess to the entire contents of the app for 30 days. Download now through iTunes or Google Play.